One of my FAVORITE products!!! I honestly can tell a difference when using All About Eyes! It is a lotion/gel that you use under your eye and on your lid as well. This moisturizer is AWESOME! I ran out for about 2 weeks..I was waiting for the clinique bonus! I could tell a huge difference. My dark circles were much more pronounced without the moisturizer!! 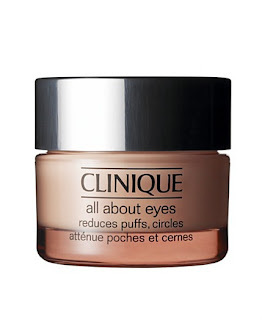 I am in my mid-twenties but would recommend this product to ANYONE who is concerned with dark circles! I tried one of the new Healthy Choice Cafe Steamers today and I was pleasantly surprised!! It was REALLY good!! I had the cajun style chicken and shrimp. These are found in the frozen food section and I got them on sale 2 for $5 which is much cheaper than going out for lunch!! When I first fixed this meal all I could think was there is no way this will be enough food! But I just finished eating and I am FULL! The particular meal I tried was 260 calories..not bad! These are great for people on the go or to take to work..or for me who just wants something quick and easy to fix at home!!! I have always wanted to try philosophy products. I have heard a lot of good things about philosophy!!! I have been using the Clinique 3-step system for a long time and was really wanting to switch it up! The first philosophy product that I tried was Purity made Simple. This is a one-step facial cleanser! This one cleanser removes make-up, cleanses, tones and hydrates all in one-step! Great for women on the go!!! This cleanser has a very light scent to it. I plan on sticking with this cleanser for a long time!!!! After eating an AWESOME panini at McAlister's Deli I decided to recreate it at home! Gregory and I both ordered it and really liked it..so why not give it a shot! For this recipe you will need a food processor and a panini press. If you do not have a panini press you can just place a heavy pot or pan on top of the panini to create the same effect. Another side note..I am HORRIBLE at measuring! So a lot of this is really to taste as well as how many you are cooking for! * Process together..I added more oil/cheese in order to get the consistency that I liked! We ate these paninis with baked cheetos! YUM!!!!!!!! Running Planet! This link goes to the fat trimmer workout. Running Planet is great because there are programs designed for beginners all the way up to people who are training to run a marathon! The Fat Trimmer workout is excellent! I will break it down here, but for more info..check out the link!! There are 3 different workouts for this fat trimmer plan. They consist of the big easy, strength circuit and fat buster. The big easy is a simple workout. You really can do what you want, whether it is walking, jogging, etc. I have actually done the big easy outside just by walking my dog! The strength circuit will work you out!! Make sure you always warm up before exercising. During the strength circuit you run/walk 1/2 a mile and then do some sort of strength training exercise. I like to vary these exercises but some good ones include, push-ups, squats, tricep dips, crunches, bicep curls and shoulder presses. I don't have any weights yet..so right now I have been using my resistance band! I did 3 miles running , plus a warm up and cool down. The fat buster is another fun variation. Basically, you can do what you are comfortable with. 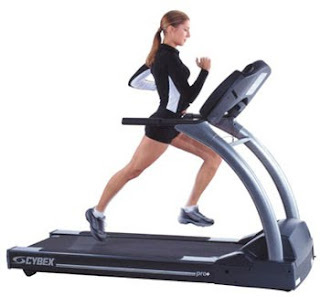 You run at an easy pace for 5 minutes and then for 1 minute you increase your speed. Running Planet offers a 14-day program alternating between these 3 different workouts. I did the strength circuit yesterday and I am SORE! It says to rest today..but I will prob still take my dog for a walk! I really am at the point now where I don't want to lose anymore weight..I just want to tone and get rid of more fat and gain muscle! I am going to stick with this program and see how it helps! I know one thing..I feel it today! I really love to cook and love finding new recipes!!! Last year, Gregory and I were on the road for his job..so we had to eat out ALL the time! This is a recipe that I have "borrowed" from Olive Garden! If you order it there it is called Shrimp Primavera. Mine is a little different..but I got the base for my recipe from eating this at Olive Garden. Let the sauce simmer while you prepare the rest of the meal! I am in love with this product!! I had my hair highlighted before Christmas and my hairdresser used a product called Moroccan Oil. I noticed how shiny and silky smooth my hair was and decided I had to have that oil!! After checking prices online..Moroccan Oil is VERY EXPENSIVE (about $30-$40 a bottle!). A little does go a long way, so if you are willing to spend the money..by all means!! I decided to check out Sally's Beauty Supply and see if they had a similiar product! And of course..they did!!! Argan Oil eliminates frizz, adds shine and provides color protection. I really do like the Argan Oil and can't tell a difference between the Argan and Moroccan Oil. My mom and I went to Sally's looking for this oil and they were sold out of the big bottles ($8)..so we both purchased the samples! Let me tell you..a little goes a very long way! 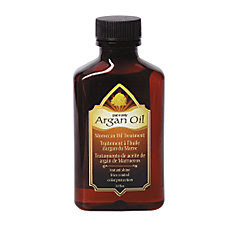 My hair is several inches below my shoulders and I use smaller than a dime size of this oil. If you want silky smooth, shiny hair then you really need to try either Argan Oil or Moroccan Oil! !